With her first song in over a year, Beyoncé is not asking us to get in formation, she's ordering it. Beyoncé's "Formation" is a feminist and political statement, the perfect counterpart to her extremely feminist self-titled 2013 album. "My daddy Alabama, momma Louisiana" she sings on the track, proudly pronouncing herself as a strong Southern woman who has a bottle of hot sauce in her purse and likes a man with "Jackson 5 nostrils." She's proud of who she is and where she's from, talking about the South in a way that finds strength and resilience in its history instead of just pain. Beyoncé also sounds like a women who's got it all figured out and is thinking of more than herself, specifically about her daughter's generation. She'll still slay for sure, but now she's taking more of a "not on my watch" approach to her music. We won't continue to see black people get killed for doing nothing wrong. We won't continue to treat women, specifically minority women, like they're second-class citizens in their own country. This is her political call-to-arms. Three years ago, Beyoncé surprised the world with a visual and sensual album that had her exploring her womanhood, her motherhood, and her life as a high profile black woman. Now, Queen Bey's fully come into her own as a mother, a wife, and a boss at a time when most other women, specifically, black women, are not getting the opportunities they deserve. She is a smart business woman who can see the double standards, and she's got the power to address them. But, being that this is Beyoncé, who, until a recent Super Bowl interview, hadn't spoken directly to the press in nearly two years, she's quietly using her art to spread that message very loudly. But Beyoncé's not annotating that message for us. She's instead letting the music speak for itself, forcing the rest of us to figure out how we feel about it. And it's led others to get in formation. Those black men and women who are too often ignored when these conversations arise, now their Beyoncé thinkpieces about race and gender are making headlines. As if we forgot that these conversations were happening long before Queen Bey dropped her new single. But as Bey makes clear: "You know you that b*tch when you cause all this conversation / Always stay gracious, best revenge is your paper." Or maybe just your byline in one. A Billboard essay asked the question, "Why Are People Suddenly Afraid of Beyoncé's Black Pride?," only to come up with the answer: "'Formation' is in many ways her own formation: the moment when she finally stepped beyond Beyoncé and into the larger world," one that wasn't ready for Beyoncé to exclude some of them. This song and its provocative video is about black self-love specifically aimed at women. She wants them to know their worth. To know they can wear their hair anyway they please and be beautiful on their own terms, not society's. To know they can be the next black Bill Gates or whatever other tech tycoon they choose. She doesn't choose Oprah, because that path has already been forged, it's time for black women to do their own thing and earn their own one-name moniker for it. 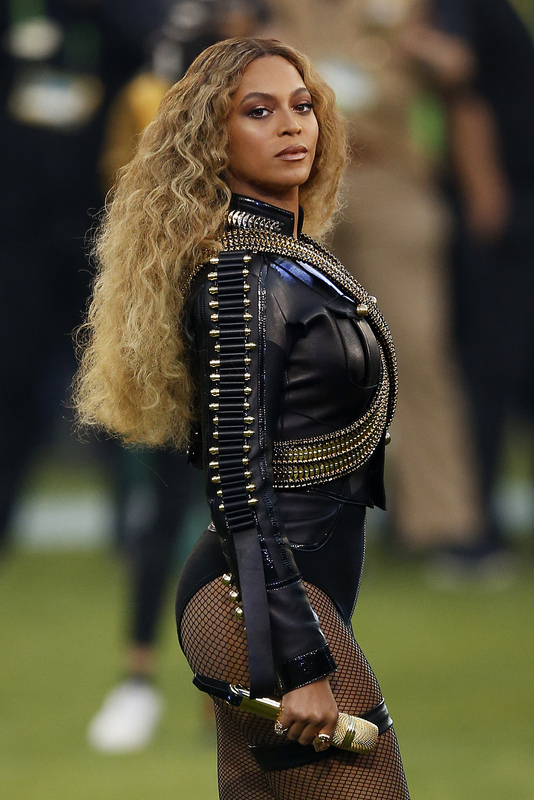 Beyoncé isn't interested in your protests against her. She's stumping for something much bigger, and her reach is far greater than anyone else's. She released such a strong political message to the world as her first single, because she wanted you to see firsthand the new Beyoncé. She's still making music you can dance to, sure, but you're also going to get a taste of her new political point of view too. She doesn't really care if you're OK with that, which is good, because a lot of people seem like they're not. After the Super Bowl, Washington Post looked at the contradictions of Beyonce's “Formation” that, in their opinion, included this dichotomy that working hard isn't always enough for black people in America and that gracious wasn't something the Black Panthers were. The paper explained the track is "a fantasia about black power, black beauty, and black success. It is political, but Beyoncé is not a politician." And the Washington Post is right; she's not. She's a musician who has taken an interest in politics and knows her platform is better than any politician for sending a universal rallying cry. She doesn't put a political platform out there because she doesn't need to. She's just here to encourage with her actions. That's why the question the New York Times asked of Beyoncé: entertainer, activist or both? is an important one that may be the overarching theme on her next album. Many are calling her a fair-weather political activist who is publicly aligning herself with the Black Lives Matter movement because it's something we're all talking about, and she is good at knowing what the world wants. It probably doesn't hurt that it's in the news, since artists are going to find inspiration in the world around them. But to take a less-cynical stance on this, it's also something that is undoubtedly on her mind, like it is with so many others. Seeing footage of young black men being shot down and being moved to write a song shouldn't be considered disingenuous or calculated to help sales. Beyoncé certainly doesn't need help in that department. But, perhaps, Beyoncé doesn't really know where she falls on the this scale. This next album of hers could explore that question, or even this idea that it's how people see her, with more songs like "Formation." Songs that are not black or white, but many shades in between. Beyoncé is not a politician. She doesn't have all the answers to how we change the current state of things. But, when Beyoncé speaks, the world listens, and that's a very good place to be when you're an entertainer, activist, or both.